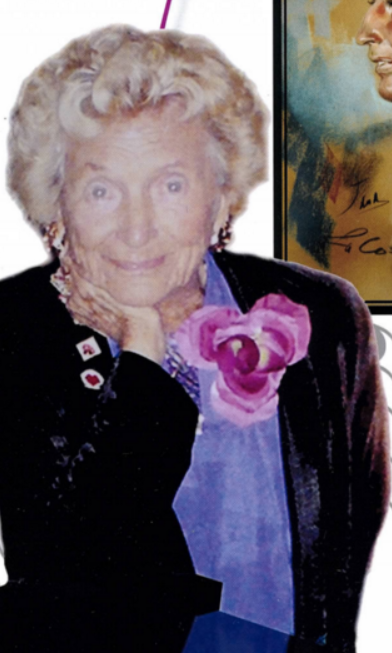 Long time South Florida benefactor, Florence “Flossy” Keesely, passed away on January 28, 2016, at the age of 101, and has joined her late husband, Nick, in eternal peace. Best known for her boundless energy, enthusiasm, friendliness and support of the performing arts, Flossy was involved in show business for most of her life. Originally from Philadelphia, She met and married television-producer, Nick, in 1932, and moved to New York City. Flossy had a stint on the very first daytime television show, “Your Television Shopper”, and through her husband’s career in music and television, she met and socialized with the stars. Flossy and Nick moved to Fort Lauderdale in 1966 and later settled in Boca Raton. Flossy has sponsored countless musical and theatrical performances, including the Florida Ziegfeld Girls, the Caldwell Theater, the Symphony of Americas, and the Rotary Club of Boca Raton Future Stars Competition, just to name a few, as well as her own “Pathway To The Stars” concerts at Mizner Park. Flossy donated Mizner Park, “Flossy’s Fountain”, a seven foot bronze sculpture of Flossy reaching for a star, created by acclaimed sculptor, Yaacov Heller. It is located at the entrance to the Amphitheater at Mizner Park. Per Flossy’s wishes, there will not be any services. It was Flossy’s request that donations be made to the local Boca Raton charity of your choice.